Essentially, I believe I can prove that Rhaegar wrote the cryptic song called “Jenny’s song” which appears throughout the books. Although revealing on its own, this essay is largely instrumental in substantiating future efforts that actually take these observations to some fantastic places. This is is the first essay in the Composer of Prophecy series which closely examines Rhaegar’s involvement in the the prophecy of the promised prince and how he may have covertly ‘stored’ it in “Jenny’s song”. Pretext. What we need to know before continuing. The Shadow of Summerhall. The context and opportunity for a fateful meeting. A Ghostly Tune. Unraveling a song’s mysteries. Lyrical Prophecy. Why would anyone use a song to record a prophecy? What do we generally know about Rhaegar and the prophecy of the promised prince? This is a significant change in his belief or understanding of the prophecies. It raises some serious questions. What caused this change of belief? Did others know about this change? What is the significance of this to Rhaegar’s life? What relevance, if any, do these observations have on the general story of A Song of Ice and Fire? Truthfully, there is quite a bit of information we can extract from the books to help us answer these questions. Before we begin our adventure into these mysteries, there is one final bit of pretext I think we need. Why did Rhaegar (and Aemon) think he was the promised prince initially? The most obvious reason is because he was the descendent of Aerys II and Rhaella. Aegon’s belief that this prophecy was true is believed to be a factor in the cause of the Tragedy at Summerhall, where he and many others presumably died. It’s also interesting that Rhaegar was born at Summerhall the same day of the disaster. Despite the tragedy, there’s no reason to believe that her prophecy could not still have been true. Aemon’s close relationship and respect for his Brother Aegon V most likely imbued Aemon with a certain faith in the witch’s prophecy. Further, as a maester (and based on the many times his vows have been tested) he seems dispassionate enough to recognize that tragedy does not necessarily invalidate a prophecy. Secondly, Rhaegar was for many years an only child. He was born 259 AL, and his oldest sibling Viserys was born 274 AL. Viserys was not born until Rhaegar was fifteen, a man grown by Westerosi custom. It would be sensible in many ways to think that he must be the promised prince simply because he was the only direct male descendent of the designated progenitors for such a long time. At the very least, if Rhaegar was uncertain that he was the one, it would have made perfect sense that he should have prepared for the possibility, given the long time he went without other siblings. There was a period when Rhaegar thought he was the promised prince. This is based on the the woods witch’s prophecy. His long childhood without siblings further cements the idea that he believed himself the promised prince (due to a lack of other candidates for so many years). There’s no reason to necessarily believe that the woods witch’s prophecy was wrong, so this is the most obvious reason Rhaegar might have thought he was the promised prince. Yet at some point he came to believe it would have been his son. Aemon indicates that he doesn’t know what caused Rhaegar’s change in belief. He expresses a certain ambivalence towards Rhaegar’s beliefs. So we are left to wonder, what caused this change in belief? I believe it was a fateful encounter that changed him. An encounter that profoundly changed the entire course of his life. Proving and elaborating on this is the goal of this essay. As I said earlier, Rhaegar’s initial belief that he was the promised prince was almost certainly derived from the prophecy made by the infamous woods witch. This is the simplest and most logical explanation. No mental contortions are required other than to simply believe that the woods witch’s prophecy was still correct even after the events at Summerhall. It should be noted that Rhaegar could have learned of his ‘destiny’ via some other method. Whatever inspired him to believe he was the promised prince is not truly that important to this theory. Regardless of whatever influenced him, what matters for the purposes of this essay (and the proverbial truth) is that the woods witch did indeed prophesize a promised prince. We are now looking to see what caused the change in his belief: to begin thinking that it was his son and not actually himself. Well quite obviously someone could have simply told him about her and the given him the gist of the prophecy. Many of his family and their closest allies died in pursuit of the promised prince. It seems like this would be an obvious story to communicate to Rhaegar: it wouldn’t be something people would keep from him. Given that the woods witch is presumably dead, he certainly couldn’t have just talked to her. What makes much more sense is that there were scrolls or documents that recorded her prophecy, and that he could consult these. After all, Aegon V was surrounded by maesters and educated people, there’s no reason to believe they wouldn’t record something as vital as prophecy made by a prophetess, particularly one they believe to be true. This leads to an important point. While the witch may have uttered a valid, true prophecy, in committing her words to parchment the authors invariably introduce error and misinterpretation. Or perhaps not. Who’s to say? Rhaegar may have access to the prophecy via personal accounts or perhaps even documents and scrolls. However, he has no guarantee that any of it is precisely what the original witch actually said or predicted. Consider that Aegon V, Rhaegar, Aemon, and the additionally likely Jaehaerys II and Aerys II all had a vested interest in arriving at a true understanding of the prophecy. The prince who was promised is a prophecy with which the Targaryen dynasty has always been affiliated. If they all of these talented, capable men used their considerable resources to try and decipher the prophecy..
Why was Rhaegar the only one to come to a different conclusion? I believe that it is because Rhaegar had exclusive access to a source of information about the prophecy. One that he did not to disclose to anyone else. One that could give him a first-hand, undiluted account of the prophecy. It comes down to location and timing. “Summerhall.” The word was fraught with doom. However, there is strong evidence that this woods witch did not in fact die but is actually the Ghost of High Heart, as noted by many (most prominently by her entry on the ASOIAF Wiki). Note: I’d rather not draw this essay out further proving this point, the linked entry does a great job. This means she was at Summerhall at least once in her life. Furthermore, the context and use of the word ‘gorged’ implies that she many been there a extraordinarily long time. So he ‘loved’ Summerhall, but no reason is given. Remembering that the entire belief that he is the promised prince is rooted in the woods witch’s prophecy, and that the witch (among many) died at Summerhall, wouldn’t it be sensible to conclude that he visits Summerhall because of its connection to prophecies made that concern him and his destiny? Rhaegar visits Summerhall because it’s connected to the prophecies made about him (he thinks). It’s further connected to the woods witch who made the prophecy died there. So you can see that the woods witch (the Ghost of High Heart) was at Summerhall for an indeterminate amount of time. Could they have crossed paths? Met? In truth, we can’t find direct evidence of this. She made a prophecy that very well could have been aimed at him. Her friend Jenny (and a host of others) died presumably in conjunction with the prophecy at Summerhall. If she still believed in the prophecy, would it dishonor her memory of Jenny if she neglected the chance to speak to the promised prince? Likewise, if Rhaegar had the opportunity to speak with the very prophetess that he believed had pronounced his destiny, wouldn’t he leap at the chance? Thus, two very important actors in the story of the promised prince were both at Summerhall for lengthy periods and had a ton of motive to speak to each other. But we don’t know if they ever were at Summerhall at the same time. If the Ghost of High Heart was once at Summerhall, wouldn’t she have then arguably been the “Ghost of Summerhall”. Isn’t the word shadow a common synonym for ghost? Wouldn’t it then be entirely reasonable to believe that she very well was the ‘Shadow of Summerhall’. When you look at it like that, isn’t this awfully conspicuous of something figurative in truth being somewhat literal: that there was indeed a tangible ‘Shadow of Summerhall’, one that may have loomed over Rhaegar. This excerpt of course proves nothing other than the cleverness of the author. The fact remains that there’s no proof that Rhaegar and the Ghost actually met. However, their meeting makes more more sense than any alternative. Let me explain, and in so doing, infer that they must have met. Since the Ghost of High Heart was definitely the same woods witch who ‘died’ at Summerhall, there are some interesting things to be extracted from a close study of her appearances in the books, particularly her interest in a certain song. One of the first things to observe is that she is profoundly attached to a song she calls “my Jenny’s song”. Indeed, her relationship to the song certainly highlights that she believes the song is specifically about her friend Jenny of Oldstones. The Ghost seems to have a very intense and very personal association with the song. It suggests that the lyrics are highly appropriate for the Jenny that she knew. She even refers to the song possessively as “my Jenny’s song”. It’s almost, you know – as if the song was written for her. Her possessiveness and exaggerated emotional response seem to indicate that the song includes details that were not common knowledge. The music and lyrics are not boilerplate tragic romance tripe: rather they convey to the Ghost profoundly intimate details that give the song a very personal tone. A critic might argue that this point is speculative, and that she might have that reaction to any other emotional song. If that was the case why would she cry excessively even though she’s heard the song numerous times? I don’t weep like a baby when I watch The Notebook for the tenth time (but I do sniffle). If the song was generic, it doesn’t make sense that she would be so ridiculously tearful every time she hears it. It also wouldn’t make sense for her to request it everytime. In addition, isn’t it kind of odd that no one seems to know just why the song affects her so much? This may all seem speculative, but give me just a moment longer. High in the halls of the kings who are gone, Jenny would dance with her ghosts . . . Remember that that the Ghost of High Heart is a ghost in name and also a ghost in history: the world thinks she died at Summerhall. Doesn’t this observation lend an absurdly personal connotation to the only known verse of Jenny’s song? It blows my mind. The first verse of “Jenny’s song” connects Jenny of Oldstones to ghosts of some kind. Jenny of Oldstones had a close relationship with one person who would later be known as a ghost: the woods witch known as the Ghost of High Heart. She only became a ‘ghost’ after the Tragedy of Summerhall. 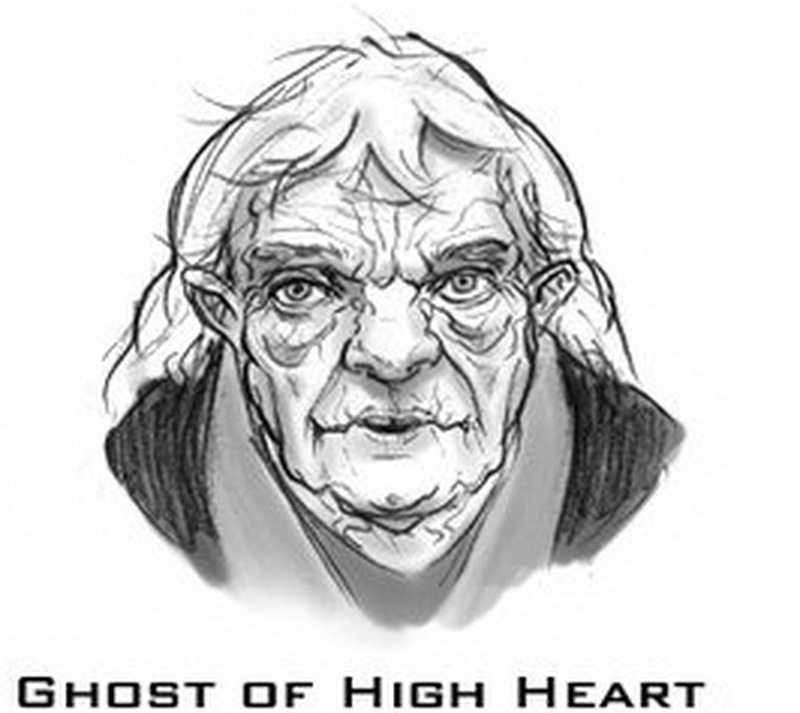 Nobody knows the Ghost of High Heart’s original identity. How in seven hells would anyone know to connect the Ghost of High Heart to Jenny of Oldstones in song? The author must then have known the Ghost’s true history, a fact that no living person seems to know! The alternative is that the lyrics are not about the Ghost, and it’s just a happy accident. It seems unreasonable to believe in such a precise instance of serendipity. Given all of the lyrical choices that a songwriter could have used for the first verse, it’s surpassing coincidence that the writer “just so happened” to reference ghosts, given the relationship between Jenny and the Ghost of High Heart. A critic of this essay might further argue that the ghosts mentioned in the song could simply be other people, living or dead. For instance Jenny could be dancing with her husband, Duncan the Small, or any of the others who died at Summerhall. She could be dancing with people from her youth. I counter this criticism by asking “If the song was about other ‘ghosts’, then why does the Ghost of High Heart react so strongly?” The Ghost is not described as being particularly close to anyone besides Jenny, it seems odd that she would grieve so effusively over a song that dwells on the relationships Jenny had with other people. In truth, there’s really no reason it can’t be both: other ‘ghosts’ that Jenny knew in life, as well as the Ghost of High Heart. This is a significant idea, one that will resurface later in this essay. There is an important point here: insofar as we know, only the readers of the books are aware of the Ghost of High Heart’s true identity. There is no character that knows her true history. And yet as I noted, the only way a songwriter would have known about the connection between the Ghost of High Heart and Jenny of Oldstones is if they knew who the Ghost really was and that she was still alive. “Jenny’s song” deliberately references ghosts in order to establish a connection to the Ghost of High Heart, personalizing the lyrics. If this is true then the songwriter must have known the Ghost’s actual identity. Personally, I cannot digest the idea that someone came up with such oddly appropriate lyrics by accident. The importance of these observations cannot be understated: The songwriter knew who the Ghost was. The ramifications of this will become clear momentarily. Isn’t it strange that she appears to so love this Jenny’s song, but greatly desires for it to be sung to her. After all couldn’t she just learn the damn lyrics and sing it to herself? She only wants to hear someone else play it. Now it could be because she has a horrible singing voice, or she simply likes a good performance. I think the most likely, rational explanation is that she likes hearing the song accompanied by the music from the musical instrument as well. Directly descending from the previous point, if she can’t play the instrument or seem to know the lyrics, yet the song is strikingly personal, how the heck did the song come about!? The only way some person who knew how to play an instrument could have written a song that connected Jenny to the Ghost so personally would be someone who knew that Jenny’s witch friend was still alive (as a metaphorical ghost)! Someone other than the Ghost herself! It’s funny that the Ghost shows no interest in other songs, to Tom’s dismay. She even seems to act a little ignorant of the other songs he could play for her. One implied notion is that its as if she’s never heard anything besides Jenny’s song. This seems to suggest she has had little exposure to the world of men. An additional point here is that it somewhat substantiates the personal connection the Ghost has for the song. Other than herself (because she can’t play the instrument, and apparently doesn’t sing it to herself). Who knew the wood’s witch was still alive as a metaphorical ghost, and later in title as the Ghost of High Heart (because the first verse includes details too precise to be coincidence). Someone who actually met the Ghost (since nobody seems to know that she was still alive). Who quite likely knew personal details that gave the song its unique emotional impact on the Ghost. Who was a talented musician (obviously). Whose music was well-known/traveled, since we know that Tom o’Sevens, Robb Stark, Lady Catelyn and Merrett Frey all know the song (among others). Was not written by Tom (as is clear from the text). When you look at this, one picture becomes self-evident: the author was someone who possessed at least some talent as a singer, musician and songwriter. He or she met the Ghost at some point, and knew/learned that she was actually Jenny’s long-lost friend. Coupled with the earlier section, it seems all but certain that this means Rhaegar was the one who met the Ghost of High Heart. He had the motive and the means to meet her at Summerhall. What I lacked was the ability to show that Rhaegar and the Ghost were there concurrently, or that they met at all. I still cannot prove that that they met. However, the only viable explanation for the existence of Jenny’s song is that Rhaegar did in fact meet the Ghost and “Jenny’s song” was the outcome. Given the hypothesis I just pitched, is there any further evidence that Rhaegar may have met the Ghost at Summerhall and composed a song for her? It’s further interesting that he went to Summerhall alone, without any company, not even the Kingsguard. The presumption has always been that he preferred isolation. But perhaps he was only trying to preserve the Ghost’s secret. After all, even though Rhaegar and Selmy were not close, Rhaegar was very close to his squires Myles Mooton, Richard Lonmouth as well as Jon Connington and Arthur Dayne. Why weren’t they present on his sojourns? Given that I’ve more or less reasoned that no one else could have done it, and the observation that Rhaegar was writing new material while alone at Summerhall, it seems to be a rational conclusion. Rhaegar encountered the Ghost of High Heart at Summerhall. Rhaegar wrote “Jenny’s song” for the Ghost of High Heart. So why would he write her a song? Why wouldn’t he just write down her prophecy? I could speculate all day. Perhaps she didn’t want him to write anything down. Perhaps he just liked her and wanted to write her a song out of kindness. Perhaps, like with Tom O’Sevens, she demanded song in exchange for her knowledge. And so forth. The only immutable element about their encounter would have been Rhaegar’s concern for the prophecy. He would unquestionably want her knowledge, it was his life’s singular pursuit. He put her words in a song because he had nothing to write with! Rhaegar would have no other way to take her words with him without writing it down. It explains his seeming obsession about playing his harp, and what seems like one song in particular… to remember the words she spoke. It’s also why no one else came to have his understanding of the prophecy, because the song was never written down. None of the other scholarly types who knew about the prophecy would consider an undocumented song. With a secret appeal to the Ghost of High Heart. Seems like a tale about tragic events in the past. But in truth is a prophecy about the present and the future. There is one possibly minor but highly conspicuous observation in accordance with these ideas. Do you know the true name of “my Jenny’s song”? You can verify this yourself via the ASOIAF wiki entry for the song. Similarly, Rhaegar mentions “a song of ice and fire” during his appearance in the House of the Undying. The song’s title is unclear: the use of the indefinite article, lack of quotation marks and phrasing are inconsistent with a formal title as seen throughout the books. The actual ‘song’ referred to as a song of ice and fire seems to be untitled as well (insofar as we know). They are the only two songs that have no title, in all of A Song of Ice and Fire. You can verify this yourself if you peruse the category page for songs on the ASOIAF wiki. This of course doesn’t prove a relationship of any kind by itself. But it is conspicuous given that both Jenny’s song and the ‘song of ice and fire’ are so prominently associated with Rhaegar. One is known to be about a prophecy (the song of ice and fire). The other is almost certainly a song that conceals the prophecy in an otherwise innocuous tragic tale (“Jenny’s song”). “Jenny’s Song” is actually the song of ice and fire, containing the Ghost of High Heart’s original prophecy about the promised prince, recorded in verse. Think about this. If Rhaegar had already made a song concerning the Ghost’s prophecies and he felt that this song was actually about his son, wouldn’t he be telling the literal truth here? He is saying that he won’t make a new song for Aegon because he already made Aegon’s song (“Jenny’s song” aka the song of ice and fire) some time ago. Wouldn’t that then explain why he goes to the window, picks up his harp and starts playing? What song do you think he’s busting out? Rhaegar had only his harp when he met the Ghost of High Heart. Rhaegar put the Ghost’s original prophecy into a song, “Jenny’s song”. The song was never written down and has no title. Thus no other scholars knew about it or analyzed it, their understanding of prophecy was unchanged. So how does all of this result in Rhaegar having a unique understanding of the prophecy? Most notably because he therefore had access to the original prophet, unlike anyone else. The advantage is that it allows him to perhaps find out what is or was wrong with the other interpretations of the prophecy, if any. 8/25 — Fixed mistake where I called Jaehaerys II Rhaegar’s father. Credit to /u/BryndenBBFish and /u/Jimmyjimkev for pointing this out. 8/25 — Fixed mistake, said that Aegon V arranged marriage of Aerys II and Rhaella, when it was actually Jaehaerys II. Credit goes to /u/mondaen. You say that the line referring to “ghosts”, in Jenny’s song, must be an intentional reference to the ghost of High Heart. But if she were still living in the ruins of Summerhall at the time the song was written, then she wouldn’t have been called “the ghost of High Heart” yet. Isn’t it possible that she *named herself* “the ghost of High Heart”, *because* she had heard the song and knew that it was referring to her? This doesn’t change the conclusions of your theory; but I think it’s an interesting twist, and somewhat more plausible. She’s from Oldstones. Oldstones is the ruined stronghold of an ancient Andal house: House Mudd. That’s what the “ghosts” are referring to. This idea introduces new premises that don’t need to be there. We know there was a ‘ghost’ at Summerhall, one with a close relationship to Jenny. We *don’t* know if there were ghosts back in Oldstones that Jenny would want to dance with. 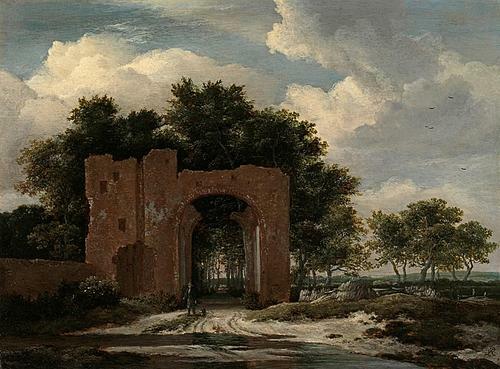 Further, Oldstones is an abandoned ruin, and had been for ages. What ghosts could Jenny possibly be associated with, such that she would ‘dance’ with them? I think Jenny of Oldstones real name was “Jeyne Lothston” (not Aegon’s mistress, but a homonym), last of her line… In fact, Sansa (in her first chapter of AFFC) links Jenny’s song with The Dance of the Dragons (the song, which speaks about two lovers and the Doom of Valyria) and Florian and Jonquil’s song (“He sang of betrayals, and murders most foul, of hanged men and bloody vengeance. He sang of grief and sadness.” AFFC – Sansa I). Yeah, this is way off-base. For one, Maester Aemon clearly cites the omen of the red star as the resson Rhaegar changed his mind and decided it was his son who would be the promised prince. “For a comet had been seen” is him explaining what changed Rhaegar’s mind. We know from the books that the red star is what makes Aemon believe Dany is the promised “prince” so it’s no surprise that a similar omen swayed Rhaegar. There’s absolutely no mystery here. Matt, in the post above mine, debunks the rest of your essay. Jenny’s ghosts are thr ghosts of Oldstone. The “Ghost of High Heart” is almost certainly a name this woods witch acquired later in life, and not while she was at Summerhall. I do think you’re probably right about this, though–the song of ice and fire is a literal thing, and might be the key to understanding thr prophecy. Though Rhaegar most certainly didn’t write it, or sing it. After hearing The Woods Witch, he one day decides to be a fighter. He only fights in a few known occasions, most importantly in order to crown the Stark girl the princess of love and beauty. The song probably was for Jon. Oh ho. I agree with you 100%. But discussing that error on Rhaegar’s part was secondary to my point. I didn’t want to try and assert/address multiple ideas in the essay. Rhaegar’s certainty in becoming a warrior always struck me as odd if it came out of a scroll…always assumed he had green dreams but did not share them because he knew they could not be prevented. However, this connection to Summerhall and the ghost is something that makes perfect sense and I completely missed. There is another mention of Jenny in A Storm of Swords. Robb and Catelyn stop at castle, where she tells Robb it was called Oldstones. “We’re all just songs in the end. If we are lucky.” She had played at being Jenny that day, had even wound flowers in her hair. And Petyr had pretended to be her Prince of Dragonflies. That would imply either another song about Jenny or the song being much older than Rhaegar. There is some debate on this in the Reddit thread associated with this essay. The timing is close, but quite plausible that this is indeed Rhaegar’s song. Rhaegar was five years older than Catelyn and would have been 17 when she was re-enacting the song with Petyr (her 12 and he 8). By this age Rhaegar was already knighted and playing his music at tourneys as far away as Lannisport (Cersei’s planned betrothal, etc). Man, you getting closer to solve this mistery. Jenny’s and Duncan story is essential to discover the answer of a major question: Why Rhaegar made the Harrenhal tournament? To crown Lyanna? Why? If the ”Jenny’s Song” is a prophecy, maybe Rhaegar was trying to fulfill it making the tourney and crowing Lyanna. Remember that Jenny also had flowers in her head, just like Lyanna. But why Harrenhal? Harrenhal must be important to the prophecy as well. Maybe the ”Jenny” is the song is the mother of the Prince that Was Promissed, and Rhaegar tought that Lyanna is this ”Jenny” for some reason. I don’t know man, but I really hope you will reply my comment here. That’s actually quite an interesting concept, that the tourney was to crown Lyanna. I have always thought that Rhaegar had the tourney at Harrenhal because he was conspiring against his father and needed to meet up with some lords there (I’m not sure, but I think that The World of Ice and Fire also says something about this). Maybe he wanted to both :P.
Timing here seems to be a little off. Surely the suggestion that she “died at summerhall” implies that even if she didn’t literally die, at least she must have abandoned it after the fire. Presumably to live in exile at High Heart. As Rhaegar only returns many years later, there’s no reason to belive that they would have crossed paths, right? At least not at Summerhall. Because if she was at Summerhall all those years later, living on her own, what would have made her leave for High Heart later? Pingback: ‘Game of Thrones’: Florence and the Machine’s Frontwoman on That Haunting Closing Song | Newsmediaone.com ! Do you have any idea how significant this essay is after the 2nd episode of 8th season of GoT, where they played the full song for the first time. Possibly. I don’t really know what the show might do with it. /shrug. Could be cool could be meaningless, despite my own writing. Obviously I’m excited to have written about something that became a show highlight, though. Uh, Rhaegar was long dead when Jon Snow was born. What am I missing? In the books, Rhaegar has two children with his dornish wife Elia Martell, a son named Aegon VI and a daughter named Rhaenys. Both kids were killed by the Mountain and Amory Lorch when the Lannisters took kings landing. The show presents a narrative not shown in the books (not yet anyway) that Rhaegar secretly annuls his first wedding and remarries Lyanna. While it is generally agreed that they have Jon, its not sure what his original name would have been considering there already was an Aegon. Yes, of course, I realized afterwards that you were referring to Rhaegar’s son that was killed by the Mountain (or maybe not, right? Young Griff?). Still, even on the TV show they do mention that the Mountain killed Rhaegar’s first 2 kids, and if one of them was named Aegon, I dont know why on the show just recently they revealed JSnow’s name to be Aegon as well. Thanks for the reply. To be honest, I don’t get it at all either.